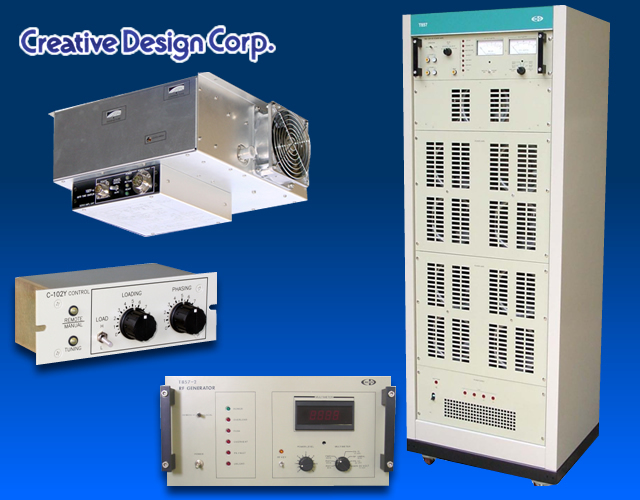 These custom-designed RF generators in the particular frequency bands in MF (such as 50kHz, 400kHz, 800kHz and 2MHz) while those in HF bands (13.56MHz, 27.12MHz) and in VHF bands (40.68MHz, 60MHz, 100MHz) are available upon request. Any type of customs specified RF generators in the specified configuration required is custom designable and manufacturable. In coupled with the frequencies ranging from MF to VHF, contact us for special specification, OEMs supply requirement type also that will be able to meet the demands to fit into the required purpose or usage of required application, such as for dielectric, micro-wave heating apparatus processing, HF plasma, ultrasonic waves clearing, steel and plastic forming/processing, and for other industrial usage of RF generators in particular purpose such as a medical instruments, and analysis appliances and instruments, experiment and test equipments for research etc.